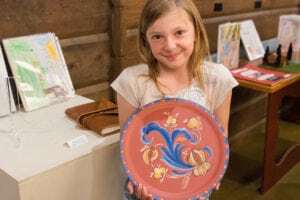 The pioneer projects and journals that each student makes during the Pioneer Immersion Program form a special exhibition so that parents, friends, relatives, and the community can view the student’s work. Everyone is invited to view this fantastic show, held each spring. The students are always so proud to see their work in a real museum exhibition.